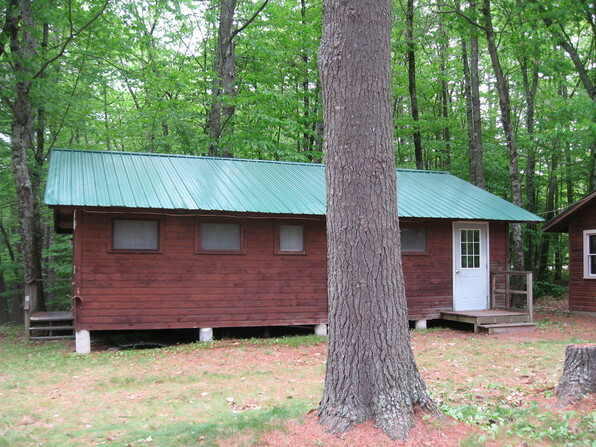 The Mack Cabin was built in 1962 as a dressing room for the teen and pre-teen boys with funds given by Gwynne Dresser Mack and the Mack family in honor of Mrs. Laura Mack. At the time, these two groups — the teen and pre-teen boys ages 8-12 — were housed in big army tents that were known as the Big Boys Tent and the Little Boys Tent. 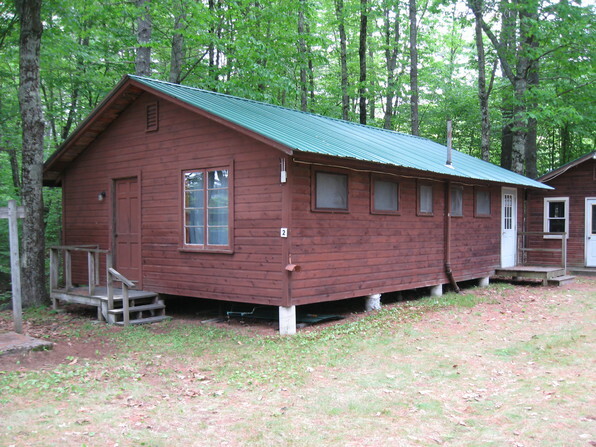 So when the Mack Cabin was built between the two tents, the boys suddenly had space for dressers, hanging clothes, and other personal belongings, as well as their own bathrooms right nearby — a HUGE improvement from going all the way to the men's room and a tiny dressing room both on the second floor of the Main Building! The two halves of the Mack Cabin were known colloquially as Big Mack and Little Mack (this was decades before that fast food restaurant's famous burger). Since that time, the Boys Bunkhouse has been built on the site of the old Big Boys Tent, with plenty of room inside for the boys' belongings. The Little Boys Tent has gone the way of history (pre-teens are now housed with their parents) and its cement slab holds the camp clotheslines. The Mack Cabin itself now holds the Single Men's Quarters (SMaQ!) with a room on each side (one with 2 sets of bunkbeds and the other with 2 twin sized cots), the Bunkhouse bathroom, and the camp's laundry facilities.